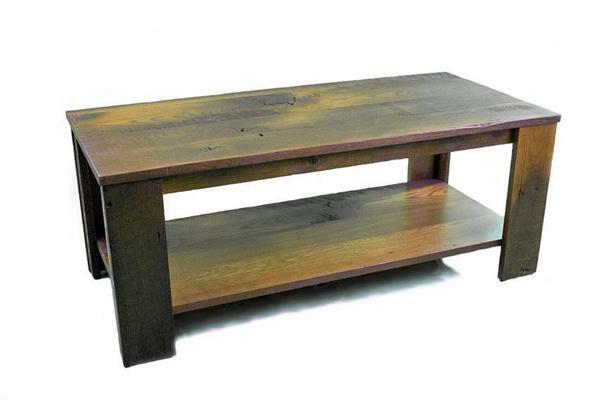 Go against the grain and choose the Amish Topeka Coffee Table to accentuate your living area. This rustic, solid hardwood coffee table provides you with necessary surface and storage space while beautifying your home. Make use of this unique table's built-in shelf by adding your own decorative flair or organizing your magazine subscriptions and various remotes. Give your living space a free and open feeling with the Amish Topeka Coffee Table's timeless design! If the individualistic qualities of this genuine Shaker coffee table peaks your interest, be sure to peruse our Amish Topeka Sofa Table and End Table to unify your living space in style. Don't hesitate to call our Amish furniture specialists today with questions at 1-866-272-6773 or visit us at our Amish furniture store in Sarasota, Florida.